In late of July during our practice session, we have an unexpected visitor, a group of young archers and their instructor from Phrae. The unique and beautie of Kyudo attract them yet again. 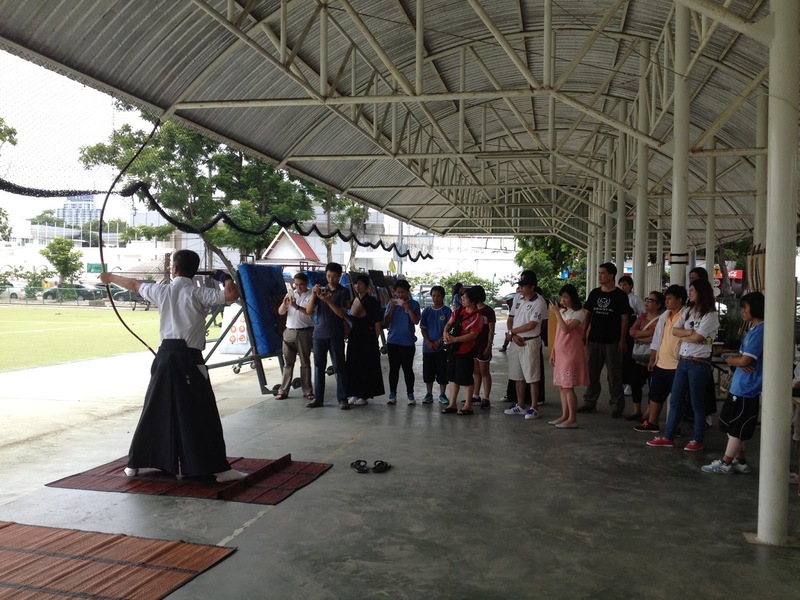 Everyone are curious and would like to know more about Kyudo. After provide an explanation on Kyudo and equipment, the different between Kyudo and modern archery caused them a surprise. Afterward, Kondoh-san kindly demonstrated the shooting to all young visitors. We have enjoyable discussion with instructors and say good bye. I wish, in the future, we can provide more Kyudo support to people who lives outside Bangkok.